Stock market cracked more than 10 percent in the last few weeks. There are a lot of predictions going on in the market. Some people are of the view that market may further go down to 7500 while on the other hand, people are saying that it’s going to make a new high and probably cross 10000 in few months. A lot of prediction and rumors are circulating in the market, so it’s better to avoid these noises and do your own research before investing in any stock. The common people have a tendency to act in the words of TV anchors and the analyst at CNBC or any other business channel. But if everyone acts on that idea which the anchor shares with the public in general, then money can’t be made practically in most cases. The best things you can do is that either stop watching business channel or television or even if you follow, try to confirm it with your own research. Remember that a stock does not become a buy/sell just because it has fallen/risen from a certain price. In Indian stock market, you will find many such companies which do not have any fundamental, with very high debt and promoter driven. So you have to be very specific especially in case of penny stocks. The probability of entering into a value trap is very high in these companies. So do not run behind 52 week low stocks in search of value as things may go cheap many times for valid reasons also. Hence avoid buying poor businesses even if they are cheap. Making predictions in Indian share market is very common because this is the bread and butter of analysts and anchors. You might have heard people predicting nifty target to 6800 or 7000. Truly speaking avoid any such predictions as these are just baits to invite you to part away with your money. A multi-bagger stock is a stock which fetches a return more than 100 %. Today you will often hear stock brokers using this fancy word “multi-bagger” in order to lure people to invest. If you receive any such calls or emails, where you’re promised of any multi-bagger call, the best thing is say thank you and ignore it.  Learn share market analysis like a professional, become a financial expert. Take up NSE Academy Certified Technical Analysis course on Elearnmarkets. This is the biggest of all mistakes which most people do. The stock tips whether you receive over the phone from any advisory company or any investment professional on television who often shouts to buy is actually nothing but just the flavor of the day. In maximum cases, you will find that it starts coming down soon after your purchase. Keep in mind, buying on any such tips is nothing more than a speculative gamble. Say if it really grabs your attention, you should consider the source first and next you should conduct your research before buying. You should always know what and why are you actually buying. If you receive any such phone calls about any stock tips, just say a polite ‘no’ and don’t scold them as they have a target to meet. Trust your research work and believe in god is the best thing you can do in the market. Hovering here and there just in search of stock tips can be dangerous for your health. But if you are not capable of carrying any research, opt for any investment professional or invest through a good mutual fund.